Pictured at DPD Ireland in Athlone making their Lego donation to the Jack & Jill Lego Appeal: Francis Bradley DPD Operations Team Donagh Teirney (6) from Birr Therese Farrell (9) from Athlone Sorcha Tierney (9) from Birr Jack & Jill Children’s Foundation asks people to donate or sell their unwanted Lego blocks to them to convert into funding for home nursing care for sick children nationwide The children were making their Lego donations as part of a new Lego Appeal from Jack & Jill who are now collecting loose Lego as a new ‘currency’ to fund home nursing care for children from birth to 4 years old with severe to profound disabilities supported by the charity across the country. The charity is urging families, preschools, schools and businesses across the country to donate or to sell their unwanted Lego to Jack & Jill who will sell it on and use the funds raised to fund home nursing care hours for sick children. 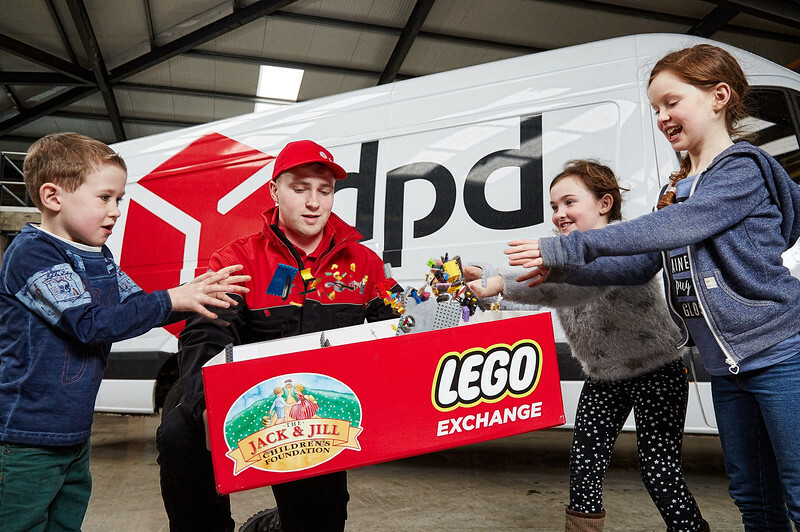 What Jack & Jill is looking for is loose Lego; no need for complete sets or boxes, and people can donate the Lego via DPD Ireland’s 38 depots around the country, with locations listed on www.dpd.ie and www.jackandjill.ie. But the charity is asking people to make sure that it is real Lego they donate and not the cheaper, plastic versions, reminding everyone that all Lego blocks clearly have the Lego brand marked on each piece. Alternatively, people can donate or sell the Lego via one of Jack & Jill’s six Charity Boutiques located in Arklow, Carlow, Crookstown, Naas, Newbridge and Wicklow, with the charity buying the Lego for €4 per kilo. Every €16 raised through this Jack & Jill’s Lego Appeal will fund one hour of home nursing care for a sick child. The charity has supported nearly 2,000 children nationally with home nursing care, including 44 children in Westmeath and 28 in Offaly and 477 in Dublin, with full county breakdown on www.jackandjill.ie Ends. Further information: Carmel Doyle, Jack & Jill 087 2473537 About Jack & Jill – the Jack & Jill Foundation’s nationwide service includes home visits and care, advice, information, lobbying and bereavement support, with the Foundation providing funding for up to 64 hours of home nursing care per month at a cost of up to €1024 per family and up to 80 hours per month for end of life care. The Jack & Jill Children’s Foundation relies on the generosity of the public and creative fundraisers like this to raise the €2.7 million in requires every year to provide this critical service. Pictured at DPD Ireland in Athlone making their Lego donation to the Jack & Jill Lego Appeal: Francis Bradley DPD Operations Team Sorcha Tierney (9) from Birr Jack & Jill Children’s Foundation asks people to donate or sell their unwanted Lego blocks to them to convert into funding for home nursing care for sick children nationwide The children were making their Lego donations as part of a new Lego Appeal from Jack & Jill who are now collecting loose Lego as a new ‘currency’ to fund home nursing care for children from birth to 4 years old with severe to profound disabilities supported by the charity across the country. 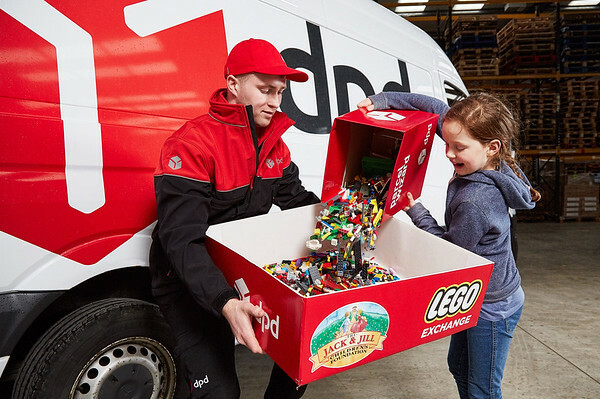 The charity is urging families, preschools, schools and businesses across the country to donate or to sell their unwanted Lego to Jack & Jill who will sell it on and use the funds raised to fund home nursing care hours for sick children. 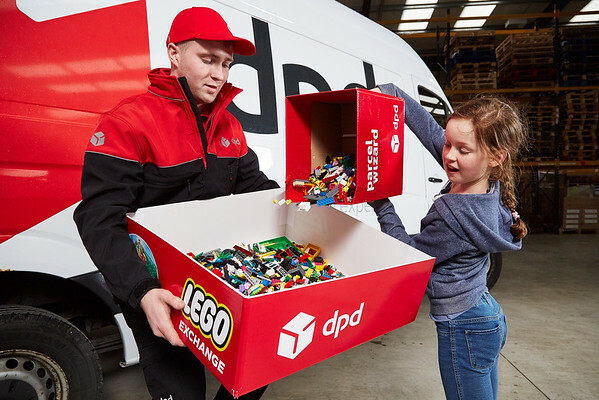 What Jack & Jill is looking for is loose Lego; no need for complete sets or boxes, and people can donate the Lego via DPD Ireland’s 38 depots around the country, with locations listed on www.dpd.ie and www.jackandjill.ie. But the charity is asking people to make sure that it is real Lego they donate and not the cheaper, plastic versions, reminding everyone that all Lego blocks clearly have the Lego brand marked on each piece. Alternatively, people can donate or sell the Lego via one of Jack & Jill’s six Charity Boutiques located in Arklow, Carlow, Crookstown, Naas, Newbridge and Wicklow, with the charity buying the Lego for €4 per kilo. Every €16 raised through this Jack & Jill’s Lego Appeal will fund one hour of home nursing care for a sick child. The charity has supported nearly 2,000 children nationally with home nursing care, including 44 children in Westmeath and 28 in Offaly and 477 in Dublin, with full county breakdown on www.jackandjill.ie Ends. Further information: Carmel Doyle, Jack & Jill 087 2473537 About Jack & Jill – the Jack & Jill Foundation’s nationwide service includes home visits and care, advice, information, lobbying and bereavement support, with the Foundation providing funding for up to 64 hours of home nursing care per month at a cost of up to €1024 per family and up to 80 hours per month for end of life care. The Jack & Jill Children’s Foundation relies on the generosity of the public and creative fundraisers like this to raise the €2.7 million in requires every year to provide this critical service. Pictured at DPD Ireland in Athlone making their Lego donation to the Jack & Jill Lego Appeal: Patricia Farrell - Financial Controller , DPD Therese Farrell (9) from Athlone Jack & Jill Children’s Foundation asks people to donate or sell their unwanted Lego blocks to them to convert into funding for home nursing care for sick children nationwide The children were making their Lego donations as part of a new Lego Appeal from Jack & Jill who are now collecting loose Lego as a new ‘currency’ to fund home nursing care for children from birth to 4 years old with severe to profound disabilities supported by the charity across the country. The charity is urging families, preschools, schools and businesses across the country to donate or to sell their unwanted Lego to Jack & Jill who will sell it on and use the funds raised to fund home nursing care hours for sick children. 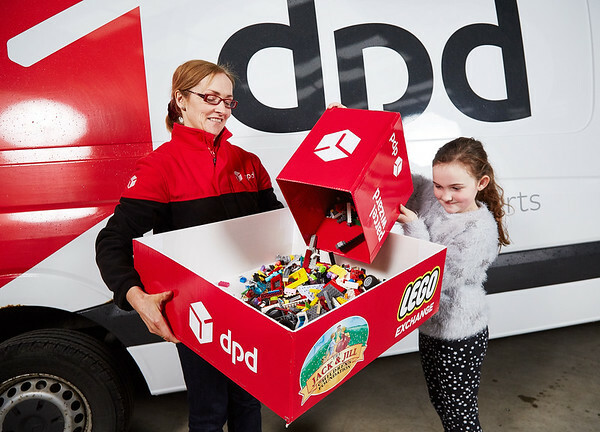 What Jack & Jill is looking for is loose Lego; no need for complete sets or boxes, and people can donate the Lego via DPD Ireland’s 38 depots around the country, with locations listed on www.dpd.ie and www.jackandjill.ie. But the charity is asking people to make sure that it is real Lego they donate and not the cheaper, plastic versions, reminding everyone that all Lego blocks clearly have the Lego brand marked on each piece. Alternatively, people can donate or sell the Lego via one of Jack & Jill’s six Charity Boutiques located in Arklow, Carlow, Crookstown, Naas, Newbridge and Wicklow, with the charity buying the Lego for €4 per kilo. Every €16 raised through this Jack & Jill’s Lego Appeal will fund one hour of home nursing care for a sick child. The charity has supported nearly 2,000 children nationally with home nursing care, including 44 children in Westmeath and 28 in Offaly and 477 in Dublin, with full county breakdown on www.jackandjill.ie Ends. Further information: Carmel Doyle, Jack & Jill 087 2473537 About Jack & Jill – the Jack & Jill Foundation’s nationwide service includes home visits and care, advice, information, lobbying and bereavement support, with the Foundation providing funding for up to 64 hours of home nursing care per month at a cost of up to €1024 per family and up to 80 hours per month for end of life care. The Jack & Jill Children’s Foundation relies on the generosity of the public and creative fundraisers like this to raise the €2.7 million in requires every year to provide this critical service. Pictured at DPD Ireland in Athlone making their Lego donation to the Jack & Jill Lego Appeal: Therese Farrell (9) from Athlone Donagh Teirney (6) from Birr Tomas Farrel (3) from Athlone Sorcha Tierney (9) from Birr Jack & Jill Children’s Foundation asks people to donate or sell their unwanted Lego blocks to them to convert into funding for home nursing care for sick children nationwide The children were making their Lego donations as part of a new Lego Appeal from Jack & Jill who are now collecting loose Lego as a new ‘currency’ to fund home nursing care for children from birth to 4 years old with severe to profound disabilities supported by the charity across the country. The charity is urging families, preschools, schools and businesses across the country to donate or to sell their unwanted Lego to Jack & Jill who will sell it on and use the funds raised to fund home nursing care hours for sick children. 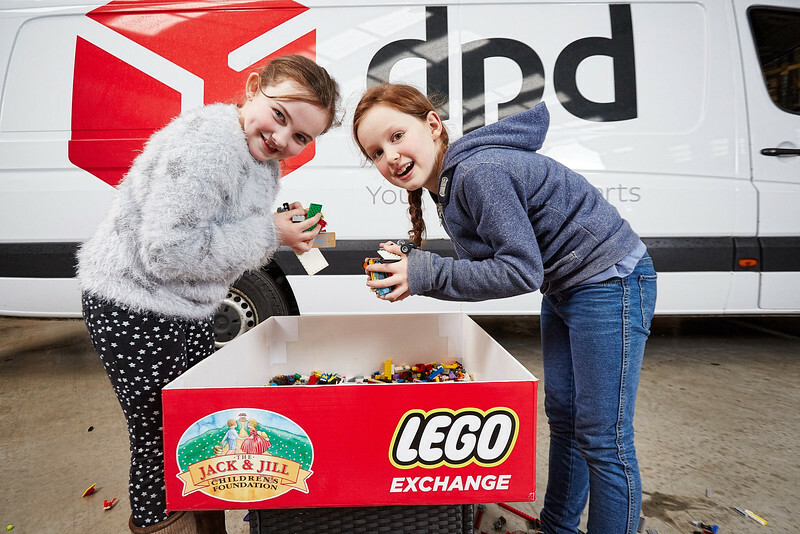 What Jack & Jill is looking for is loose Lego; no need for complete sets or boxes, and people can donate the Lego via DPD Ireland’s 38 depots around the country, with locations listed on www.dpd.ie and www.jackandjill.ie. But the charity is asking people to make sure that it is real Lego they donate and not the cheaper, plastic versions, reminding everyone that all Lego blocks clearly have the Lego brand marked on each piece. Alternatively, people can donate or sell the Lego via one of Jack & Jill’s six Charity Boutiques located in Arklow, Carlow, Crookstown, Naas, Newbridge and Wicklow, with the charity buying the Lego for €4 per kilo. 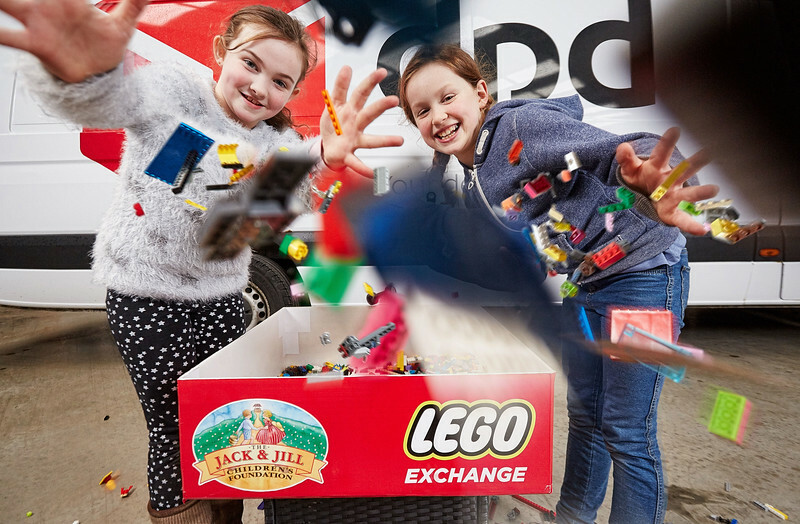 Every €16 raised through this Jack & Jill’s Lego Appeal will fund one hour of home nursing care for a sick child. The charity has supported nearly 2,000 children nationally with home nursing care, including 44 children in Westmeath and 28 in Offaly and 477 in Dublin, with full county breakdown on www.jackandjill.ie Ends. Further information: Carmel Doyle, Jack & Jill 087 2473537 About Jack & Jill – the Jack & Jill Foundation’s nationwide service includes home visits and care, advice, information, lobbying and bereavement support, with the Foundation providing funding for up to 64 hours of home nursing care per month at a cost of up to €1024 per family and up to 80 hours per month for end of life care. The Jack & Jill Children’s Foundation relies on the generosity of the public and creative fundraisers like this to raise the €2.7 million in requires every year to provide this critical service. Pictured at DPD Ireland in Athlone making their Lego donation to the Jack & Jill Lego Appeal: Therese Farrell (9) from Athlone Sorcha Tierney (9) from Birr Jack & Jill Children’s Foundation asks people to donate or sell their unwanted Lego blocks to them to convert into funding for home nursing care for sick children nationwide The children were making their Lego donations as part of a new Lego Appeal from Jack & Jill who are now collecting loose Lego as a new ‘currency’ to fund home nursing care for children from birth to 4 years old with severe to profound disabilities supported by the charity across the country. The charity is urging families, preschools, schools and businesses across the country to donate or to sell their unwanted Lego to Jack & Jill who will sell it on and use the funds raised to fund home nursing care hours for sick children. 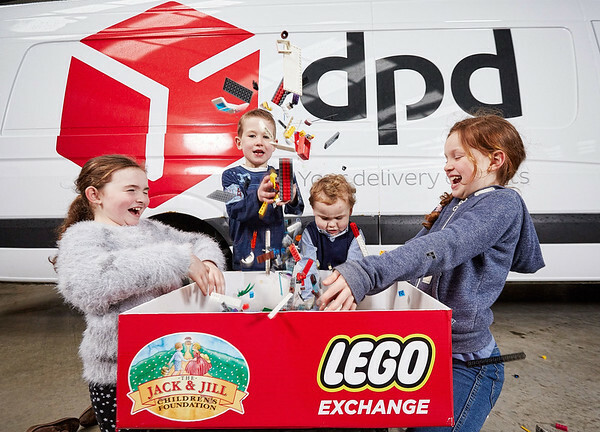 What Jack & Jill is looking for is loose Lego; no need for complete sets or boxes, and people can donate the Lego via DPD Ireland’s 38 depots around the country, with locations listed on www.dpd.ie and www.jackandjill.ie. But the charity is asking people to make sure that it is real Lego they donate and not the cheaper, plastic versions, reminding everyone that all Lego blocks clearly have the Lego brand marked on each piece. Alternatively, people can donate or sell the Lego via one of Jack & Jill’s six Charity Boutiques located in Arklow, Carlow, Crookstown, Naas, Newbridge and Wicklow, with the charity buying the Lego for €4 per kilo. Every €16 raised through this Jack & Jill’s Lego Appeal will fund one hour of home nursing care for a sick child. The charity has supported nearly 2,000 children nationally with home nursing care, including 44 children in Westmeath and 28 in Offaly and 477 in Dublin, with full county breakdown on www.jackandjill.ie Ends. Further information: Carmel Doyle, Jack & Jill 087 2473537 About Jack & Jill – the Jack & Jill Foundation’s nationwide service includes home visits and care, advice, information, lobbying and bereavement support, with the Foundation providing funding for up to 64 hours of home nursing care per month at a cost of up to €1024 per family and up to 80 hours per month for end of life care. The Jack & Jill Children’s Foundation relies on the generosity of the public and creative fundraisers like this to raise the €2.7 million in requires every year to provide this critical service.